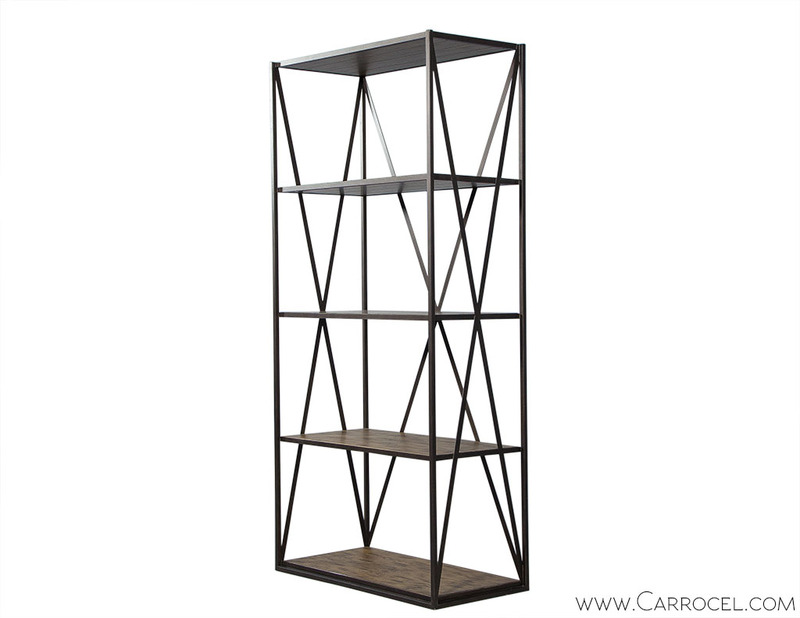 Made by EJ Victor, designed by Randall Tysinger, the Chambord Bookcase has the just the right combination of rustic luxury. 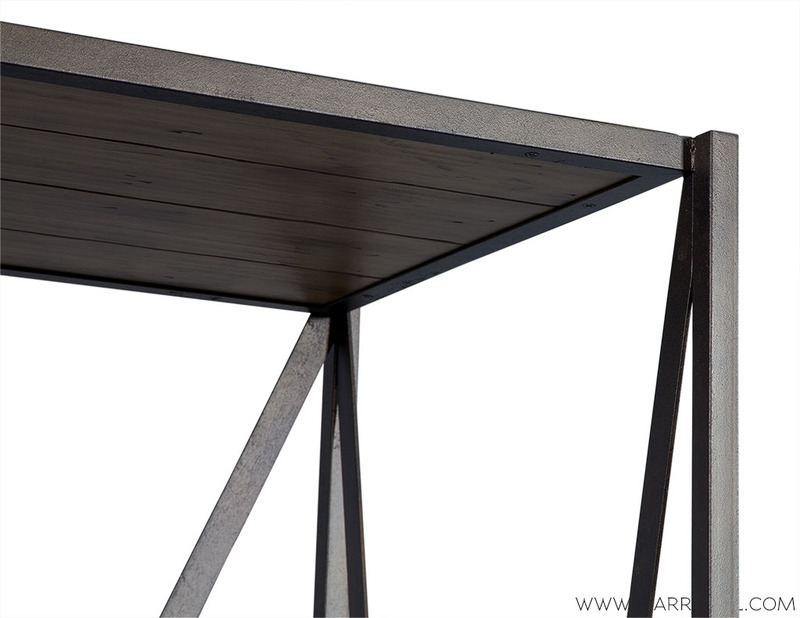 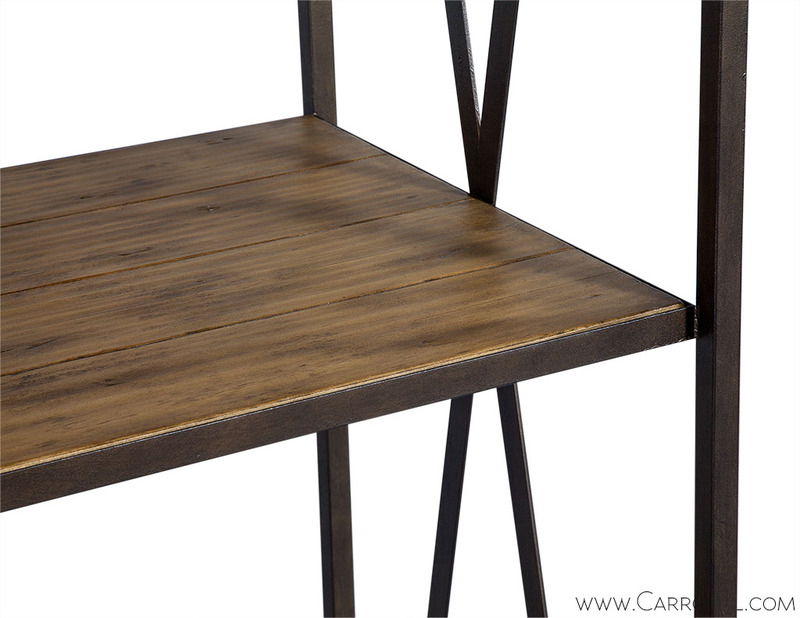 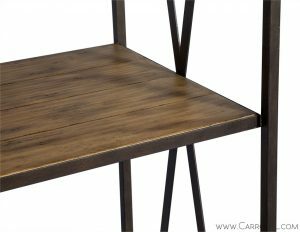 Standing at just over seven feet high, this shelf will add an impact to your space. 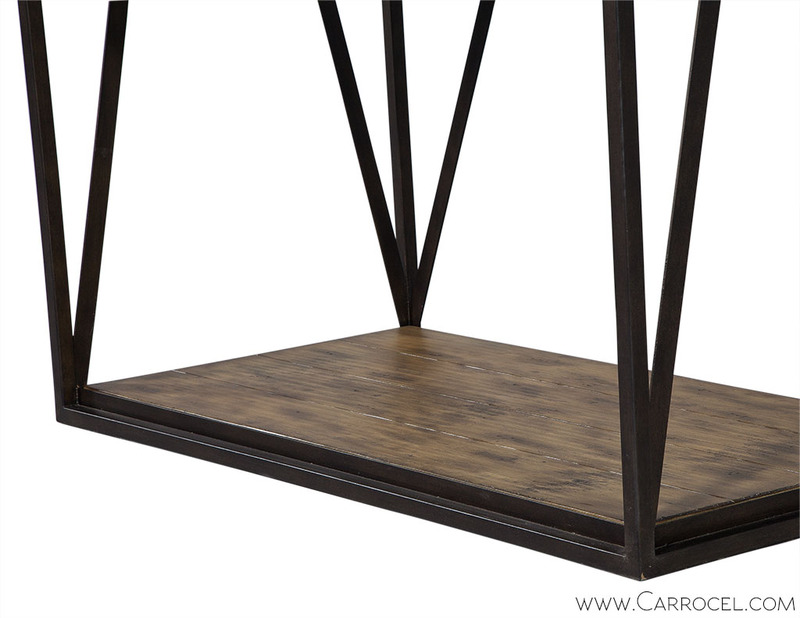 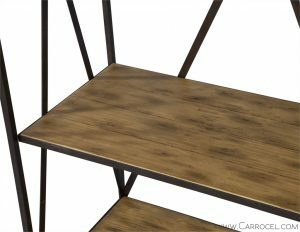 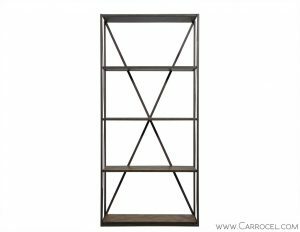 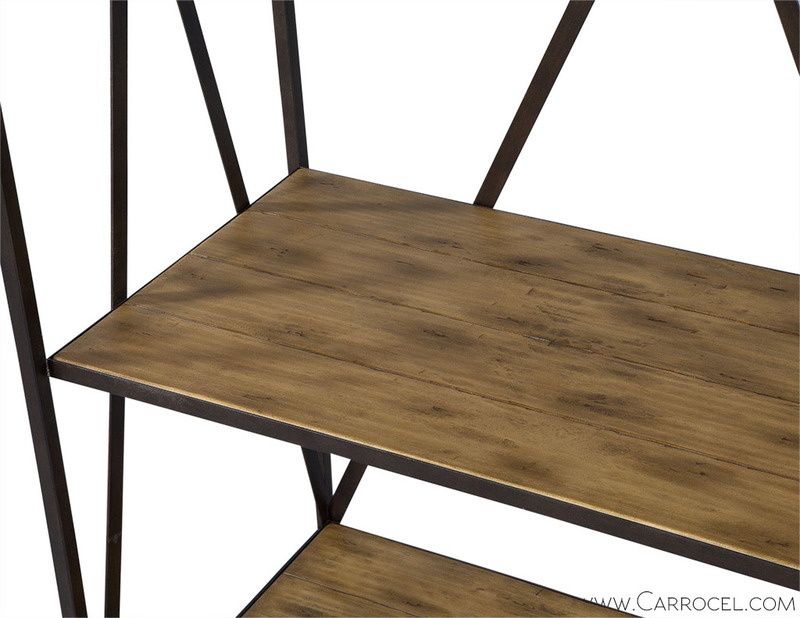 Constructed with an iron frame, featuring an x detail along the side and five wooded shelves, there is ample room for display.